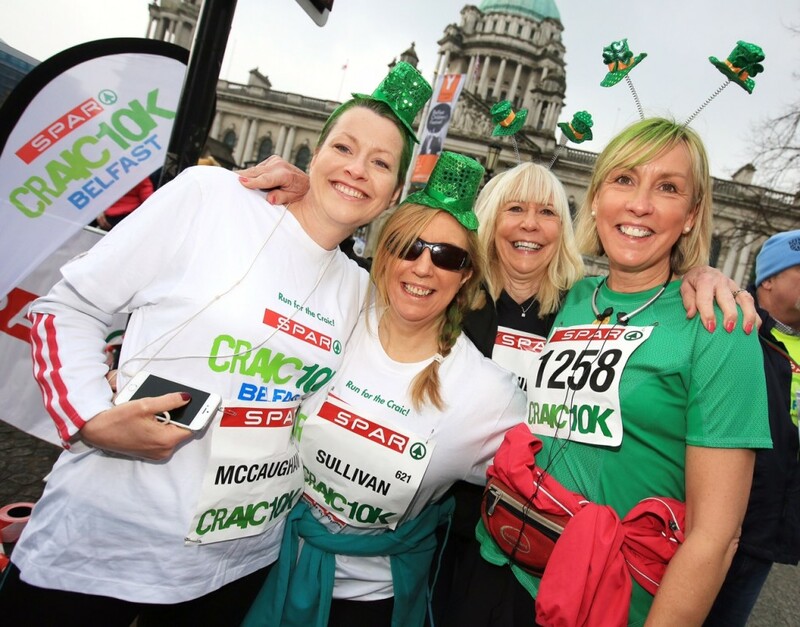 The St Patrick’s Day craic started early in Belfast where over 1300 took part in the city’s first Patron Saint’s Day fun run. The running revellers started out from City Hall at 9am and headed west into the Gaeltacht Quarter before doubling back to run through the Cathedral Quarter in the city centre towards the finish line at the Titanic Slipways. Billed as an inclusive, cross-community event, the SPAR Craic 10K was set to benefit the building campaign of the NI Hospice to the tune of £10k — and donations can still be made at Just Giving. St Patrick’s Day festivities continue in Belfast today with a parade from City Hall to Custom House Square where a family concert is to take place. Féile an Phobail have also got into the St Patrick’s Day swing by locating their Féile an Earraigh marquee in the city centre Writers Square.